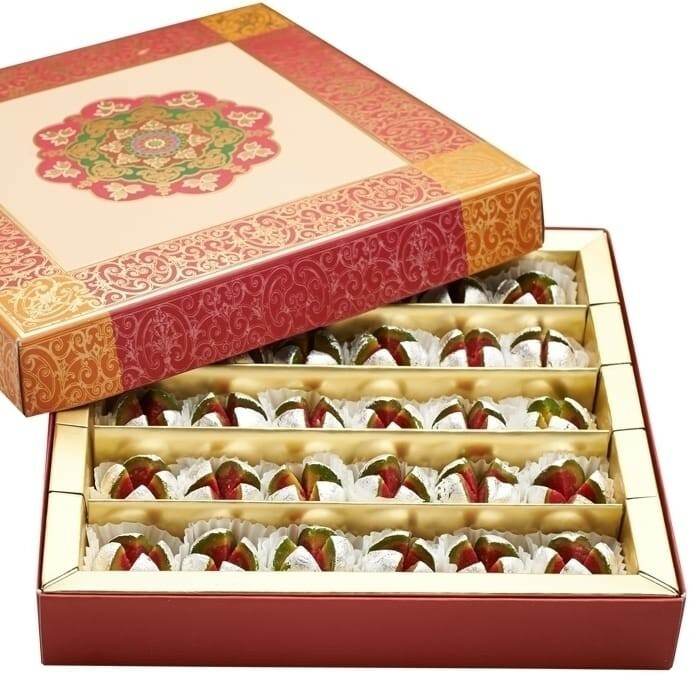 Buy Dry Fruit Anarkali of Ghasitarams from Mumbai online | Authentic Indian Sweet , Savories and Delicacies from the place they originate by Moipot. Made from the finest Cashew nut, sugar, permitted colours and silver leaves (Varakh), the mouth watering Dry Fruit Anarkali is sure to treat your taste buds. The interesting name comes from its shape which resembles blossoming of a pomegranate. These uniquely shaped treat is now a click away and will be delivered straight to your Home.